Gardman Herbaceous Effect Topiary Ball 30cm provides an ornamental, decorative and authentic decor feature piece for outside a home, requiring no maintenance or upkeep. Supplied with dettachable rust-proof galvanised three-point hanging chains. Authentic decorative topiary can instantly transform not only the public facing view of your home but also the outside view of outbuildings making more pleasing to the eye. 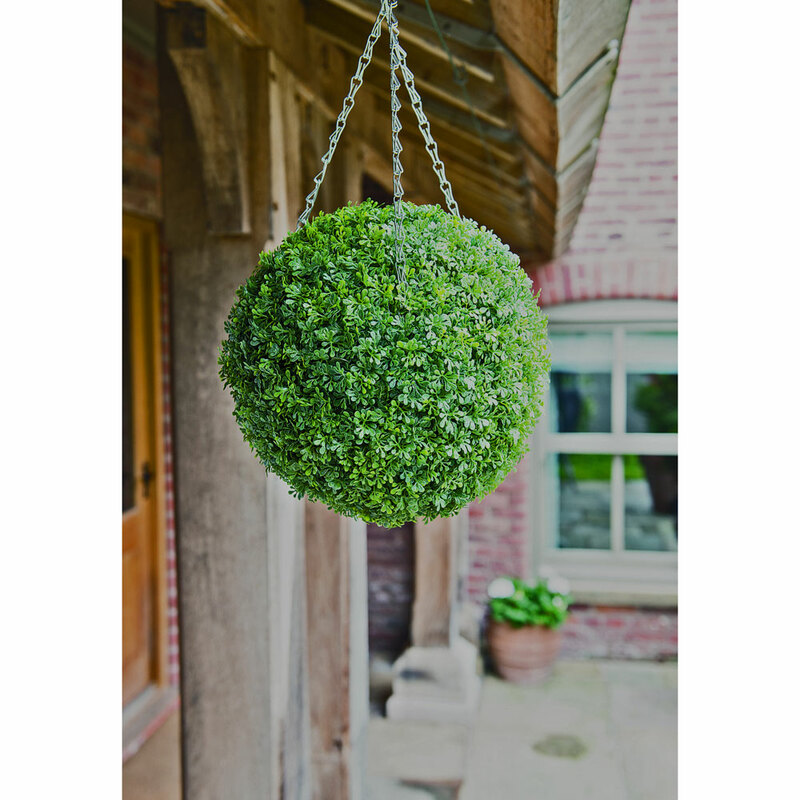 12 inch diameter (30cm) and pre-assembled, the Gardman Herbaceous Topiary Ball is suitable for removal of chains and placement in the top of pots, tubs or planters, or with chains included as a bracket hung, exterior home decoration. UV & Weather Resistant, ensures suitability for leaving outside all year round.